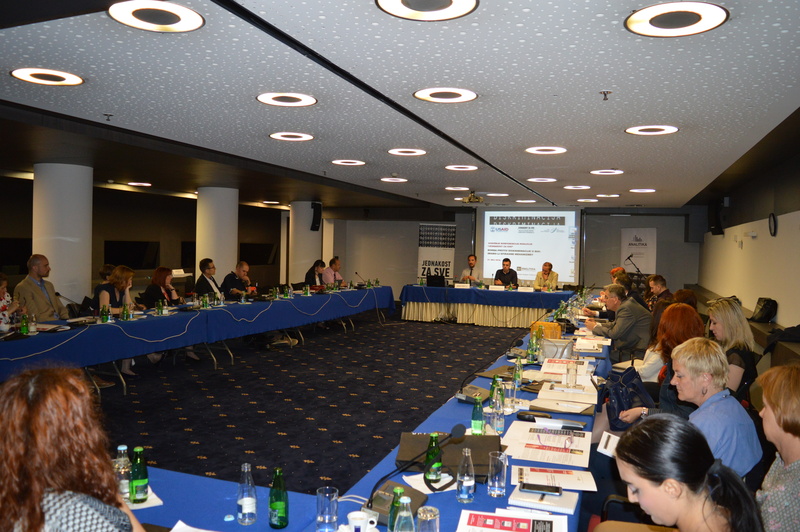 At the first panel entitled Courts in the discriminatory protection system Dženana Radončić from the Center for Legal Assistance for Women Zenica talked about necessary changes of Anti-discriminatory Law and its implementation. “When it comes to innovative legal solutions, problem can be in implementation. 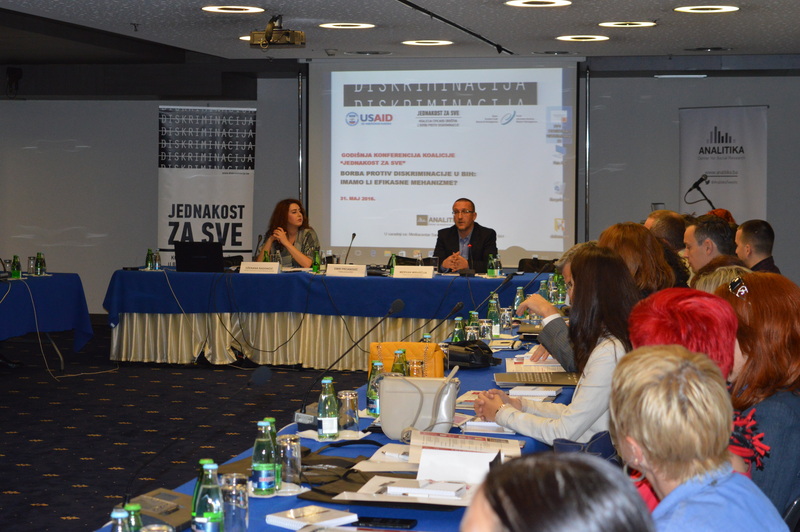 We have the problem that courts interpreters law in many different ways which results in threatened legal security which is supposed to be guarantor of discrimination elimination”, said Radončić. Midhat Izmirlija, teaching assistant at the Law Faculty in Sarajevo talked about the role of the ombudsman for the human rights in fight against discrimination. “I think ombudsman should work on authority and credibility development as it is a central institution for fighting discrimination. 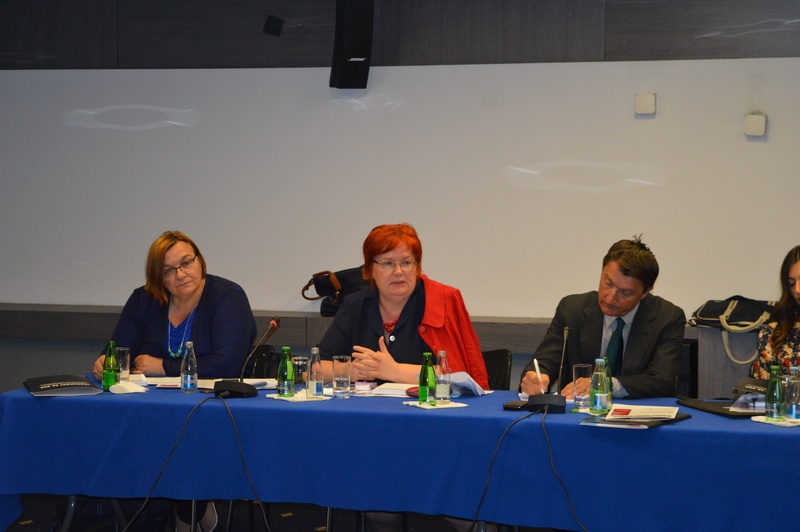 They should not only work on single cases, but ombudsman in Bosnia and Herzegovina is not capable of doing what they should do”, said Izmirlija. Aida Malkić from the Center for Social Research Analitika sad that though discussion at this kind of events participants are try to figure out new ideas and recommendations for further activities. “Although there are evident efforts of the stakeholders to make law implementation more consistent in this field, it seems that some of crucial element are still missing in order to ensure better and more effective protection for discrimination victims. 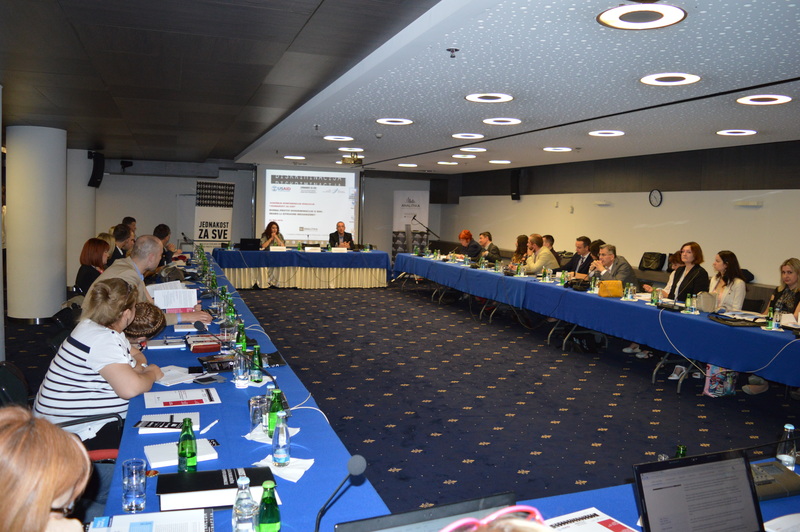 One of the biggest lack of central discrimination database”, said Malkić adding that Analitika will finalize report on discrimination in BiH which will give concrete recommendations including those from the annual conference. Report will be presented throw three sections: judicial protection, activity of the Institution of ombudsman and activities of the Ministry of Human Rights and Refugees in collecting data about discrimination.